Este artigo é sobre the city. 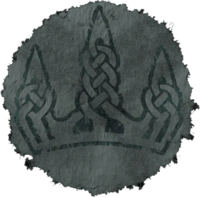 Para the hold, veja Winterhold (region). If you are sent to jail in Winterhold you do not actually go to a prison. Instead, you are sent to a cage inside an unmarked cave called the Chill, guarded by four frost atronachs. Guards will also mention this when you agree to go to prison by saying "Ha. Enjoy the Chill." If you pay your bounty in Winterhold, the guard will give you the standard dialogue about confiscating stolen goods. You are transported outside the Jarl's Longhouse, but you lose nothing. This is due to the lack of an evidence chest anywhere in the hold. 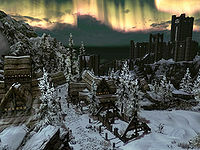 Winterhold is the only Hold where you cannot buy or buildHF a house. Random soldiers of the opposite faction may spawn near the town and attack the guards, if you aid them in killing the soldier it will count as an assault or murder, and they will turn hostile and attack. Esta página foi modificada pela última vez à(s) 00h34min de 27 de dezembro de 2015.